On Thursday, November 3, 2016, students and faculty packed Rittenberg Lounge in the Trinity College Mather Student Center to hear a lectured by Vincent Tomasso, Assistant Professor of Classics. 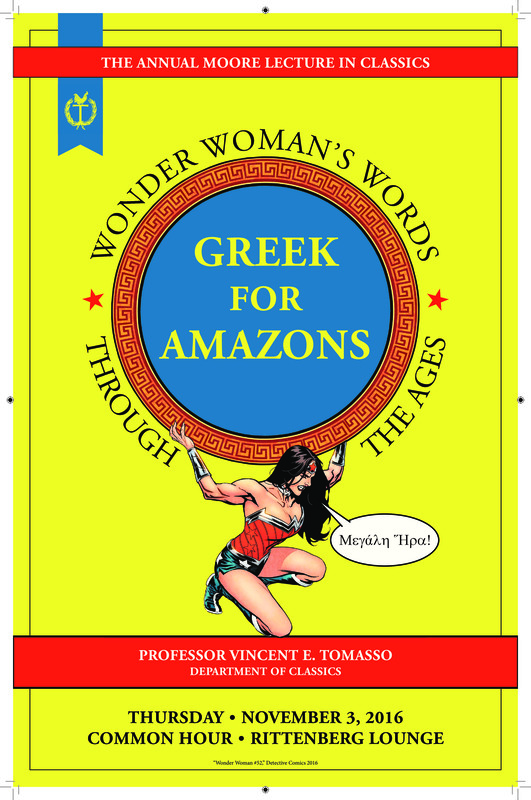 Tomasso’s talk, “Greek for Amazons. Wonder Woman’s Words Through the Ages,” discussed the curious use of Greek letters and words in the film and original comic book versions of the Wonder Woman story. 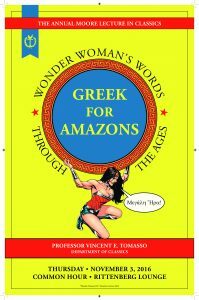 Tomasso noted that Greek was required for admission to Trinity in the earlier twentieth century, and the connections between classical mythology and the creator of the original Wonder Woman character. You can view a videotape of the whole lecture here. Tomasso’s talk was supported by the Classics Department’s Moore Fund, a small endowed fund devoted to promoting the study of classical Greek at Trinity. Students excited about learning Greek can take Greek 101 in the coming spring 2017 semester. This entry was posted in Uncategorized on November 5, 2016 by Gary Reger. On Friday and Saturday, October 21 and 22, 2016, Trinity College hosted a conference in honor of Elizabeth R. (“Betsy”) Gebhard. Scholars convened from all over the world to give papers on topics dear to Betsy’s heart, from theaters at ancient Stobi in Macedonia to Cybele and Attis at Corinth; a list of participants and their topics follows. 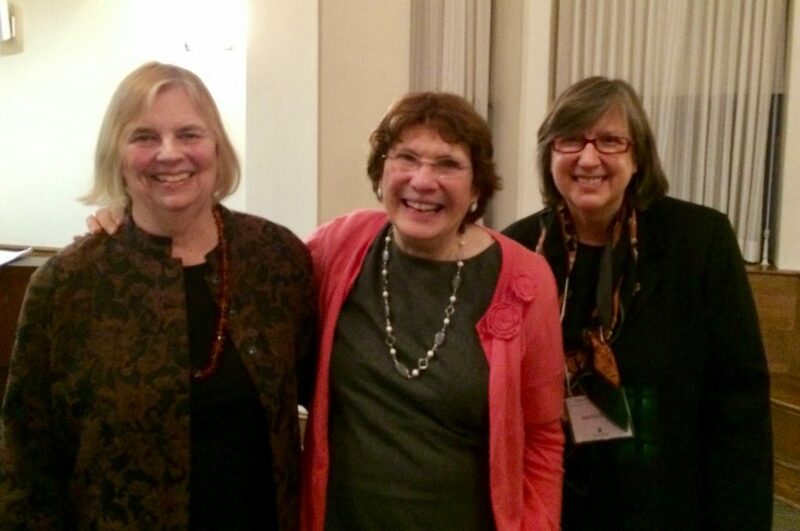 The conference was organized by Trinity’s own Martha Risser, who has known and worked with Betsy for over thirty years, and Virginia Anderson-Stojanovic, another of Betsy’s long-time collaborators and friends. This entry was posted in Uncategorized on November 4, 2016 by Gary Reger.